OTR tires, tires for tractors and industrial machines, for port trucks, for front loaders - this is just an incomplete list of high quality products that we bring to the Russian market. 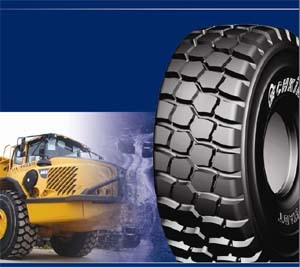 I-Tyres are an official supplier of pneumatic and solid tires for loaders of foreign leading manufacturers. All the range of tires corresponds to international standards SI ISO 9000, 9002. 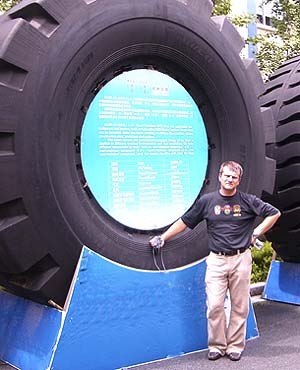 Pneumatic forklift tires have the widest application. They are used for forklift application on flat floor and road as well as on the ground and snow. Solid forklift tires are completely made of rubber and are not afraid of broken glass or sharp metal shaving. In appropriate working conditions solid tires have much longer operation life than pneumatic tires. Car drivers know how "sudden" snow or November rain resulting in snow squash spoil car steerability… What can you say about forklift working outdoor in winter, especially if it is a forklift with 5 ton capacity and more, and the working conditions need the loaded truck to move up and down the ramp? The quality of the tires you use affects both the work productivity and safety. We sell a wide range of industrial tires for various kind of industrial trucks, as well as hydraulic presses for OTR and industrial tire mounting. This season we have a special program. Forklift owners will be able to purchase studded pneumatic or solid tires for outdoor application at special prices. We often arrange sales programs. This season we have lower prices for skid steer tire set. We offer a wide range of tires.